Offering you a complete choice of products which include safety gloves, fire fighting gloves, insulated gloves and kevlar protection glove. We are a prominent Safety Gloves manufacturer and supplier based in India. Shree firepack safety pvt ltdspecializes in offering qualitative range of Safety Gloves .Also our range of product include like yarn, ropes,cloth, webbing tapes, fire blanket,aprons,suits,welding blanket, coated & uncoated fabrics made of asbestos, non asbestos material like glass fiber, ceramic fiber & silica. We are a prominent Fire Fighting Gloves manufacturer and supplier based in India. 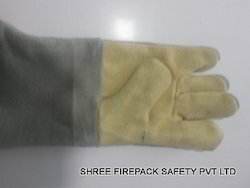 Shree firepack safety pvt ltd specializes in offering qualitative range of Fire Fighting Gloves .Also our range of product include like yarn, ropes,cloth,webbing tapes,fire blanket,aprons,suits,welding blanket,coated & uncoated fabrics made of asbestos,non asbestos material like glass fiber,cermaic fiber & silica. 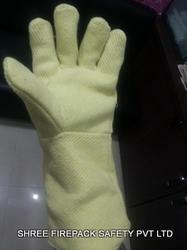 We are a prominent Insulated Gloves manufacturer and supplier based in India. Shree firepack safety pvt ltd specializes in offering qualitative range of Insulated Gloves Also our range of product include like yarn, ropes,cloth, webbing tapes, fire blanket, aprons, suits, welding blanket, coated & uncoated fabrics made of asbestos, non asbestos material like glass fiber, ceramic fiber & silica. 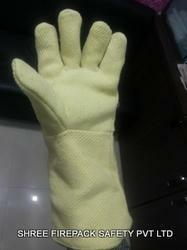 We are a prominent Kevlar Protection Glove manufacturer and supplier based in India. 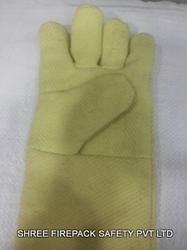 Shree firepack safety pvt ltd specializes in offering qualitative range of Kevlar Protection Glove Also our range of product include like yarn, ropes, cloth, webbing tapes, fire blanket, aprons, suits, welding blanket, coated & uncoated fabrics made of asbestos,non asbestos material like glass fiber,cermaic fiber & silica.